Add life-changing overseas adventures to your volunteering programme in a sustainable fashion. Agape provides access to safaris, mountain climbing and more, utilising local providers to support the community. At Agape Volunteers we are exceptionally committed to ensuring that all of our volunteer programmes are dedicated to generating maximum impact for the communities we work with across Africa. However, we don't believe that this should mean that volunteering with Agape is not a thoroughly enjoyable and life-changing experience, it just needs to be done in a sustainable way. Are you looking to plan a gap year in the best possible way? Well, a volunteering programme combined with some truly remarkable adventures on top is sure to be just the thing! That any profit from the trip will be invested back into Agape's projects. We offer Agape Adventures in Kenya, Ghana and Tanzania. We do not offer them in South Africa as a large number of additional trips are already included in the programme. Once you apply, your Trip Adviser will send you an email detailing the potential Agape Adventures that you can take on your volunteering trip, and we strongly encourage you to book these before you go. 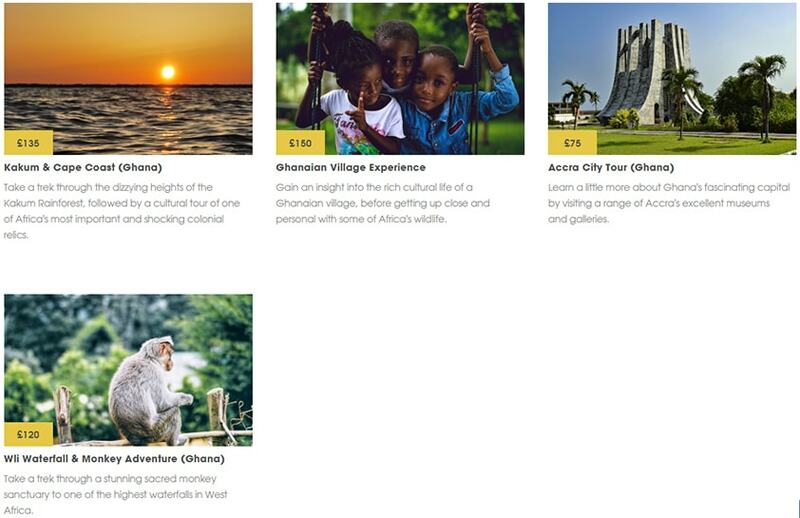 We have included the brochures for Kenya and Ghana below to provide an example of these trips. Agape Adventures in Kenya includes incredible experiences such as safaris in the Masai-mara, climbing Mount Kilimanjaro, and even Gorilla Tracking - for a full list of these activities and the prices please download the brochure linked below. Agape Adventures in Ghana includes rain forest tours, monkey sanctuaries various city excursions, while our trips in Tanzania are obviously based around the easy access to the best nature reserve in the world: the Serengeti. See an overview of the trips that are available in each of our countries below and scroll down to the bottom of the page to download the full brochures! 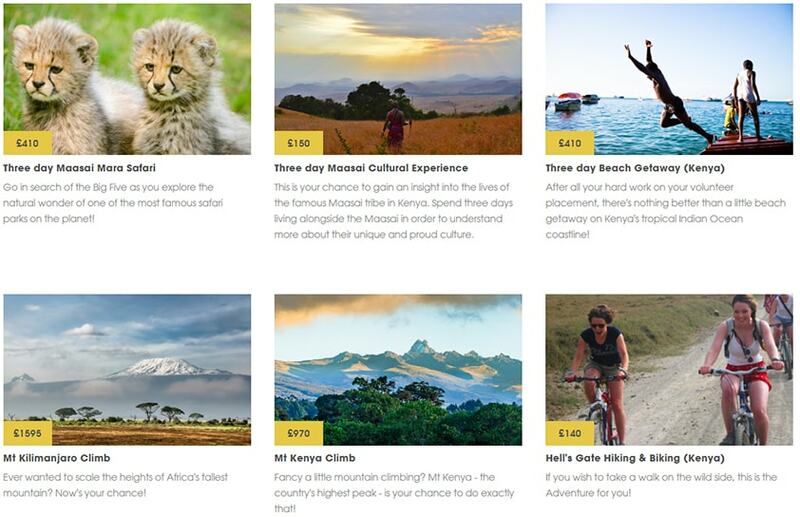 You can also see all the prices for these trips as part of our pricing overview page. No problem - volunteering is a big step, and adding adventures can be a bewildering prospect! What to do first? What can you fit in? How much do they cost?